Start making memories in this beautiful Pleasanton Meadows home where you can walk to Fairland's elementary school, walk to the neighborhood pool, park, tennis court, and shops. 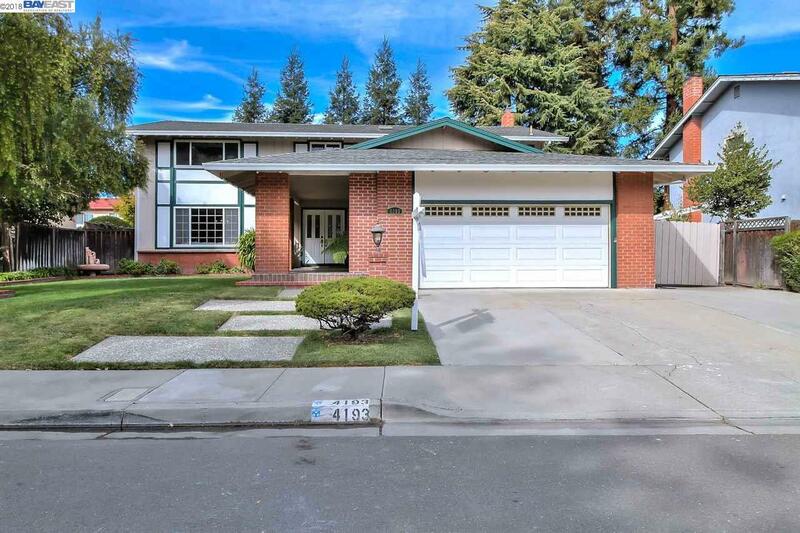 Very close to BART, and 580/680 freeways for easy commuting! !This large 2600 sqft home has it all!! Large master bedroom with retreat, updated master bath with relaxing jetted tub, large shower, updated kitchen that is open to the breakfast nook, and large family room. The family room looks out to an inviting and private backyard with a large deck and grass area for outdoor entertainment. Dual pane windows, new carpet and paint throughout the house. It will not last!! !